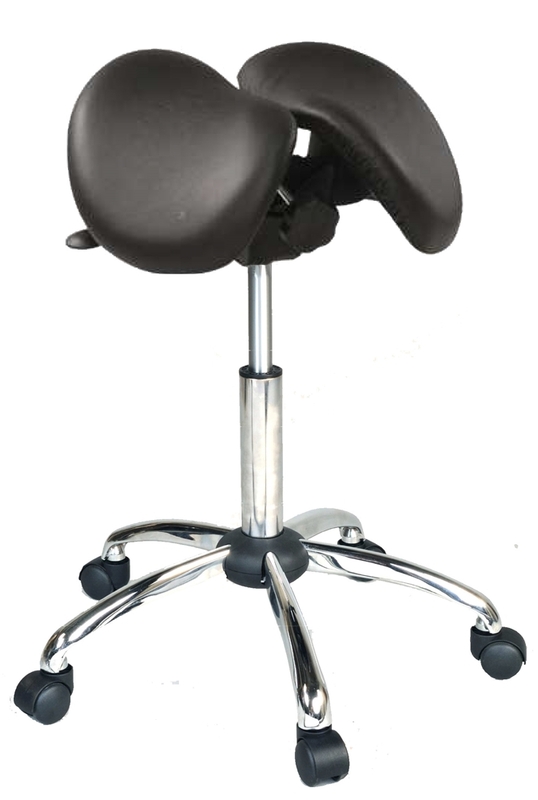 Highly adjustable leather saddle chair improves back posture. Patented split-seat design is suitable for both men and women. 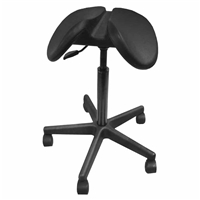 Recommended for demanding work tasks in medical, veterinary, dental, laboratory, factory, and active office environments. 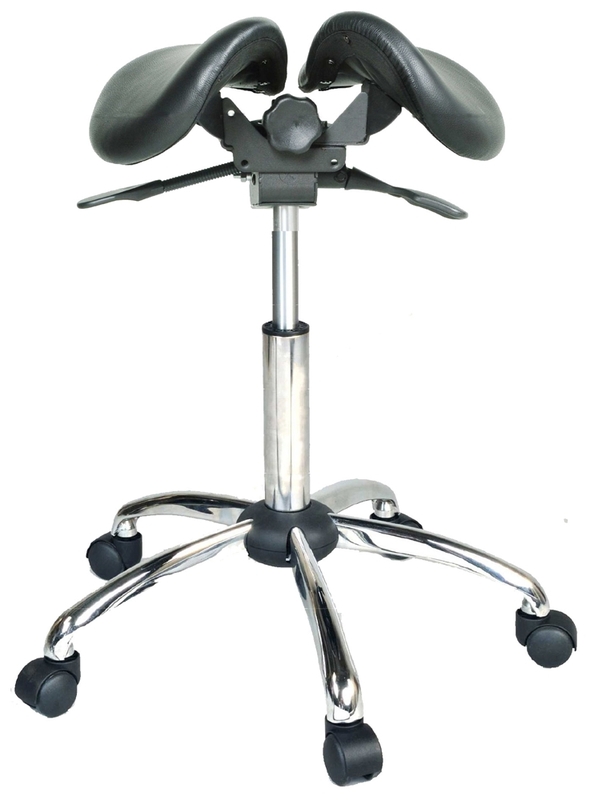 Highly adjustable saddle chair for demanding work tasks. 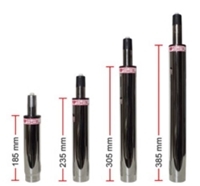 Ideal for medical, veterinary, dental, and laboratory applications. 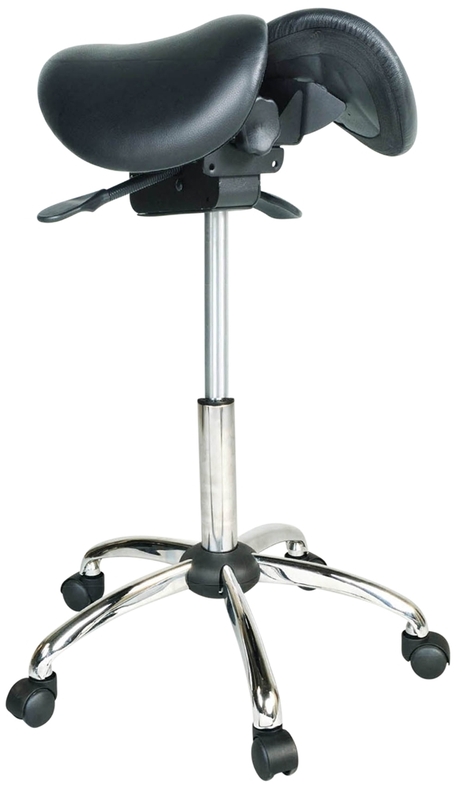 Suitable for active office environments, drafting height tables and sit-stand desks.